Elsewhere in the trailer, we get somewhat of a hint that Jean could kill more members of her X-Men family (a previously released trailer already revealed that Jean unwittingly murdered Mystique), as well as a closer glimpse at Genosha, Magneto's (Michael Fassbender) mutant paradise he built atop scrap metal. By now, numerous trailer's story beats will be familiar to anyone who's been keeping track of the movie's marketing. It remains to be see what Disney's MCU wants to do with their newly acquired X-Men, but for fans of the Fox films, this will be your last hurrah. Upon her return to Earth, Jean gains the nickname "Phoenix" from her fellow students, although that admiration soon turns to fear and distrust as Grey starts to lose control. 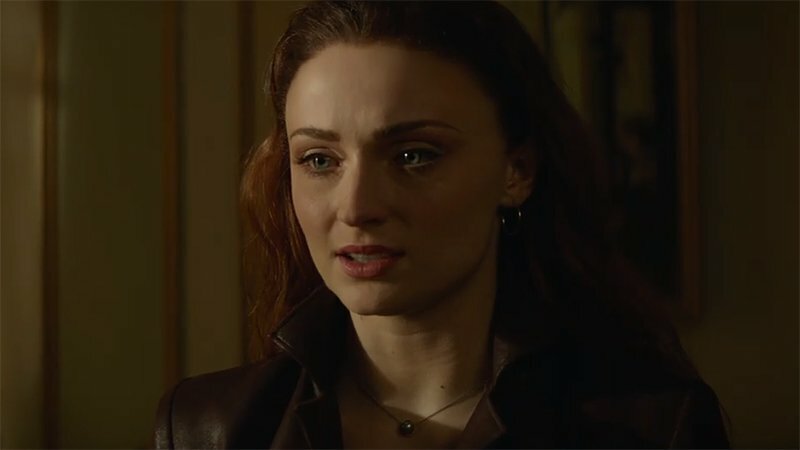 On a mission to rescue a stranded space shuttle, Jean Grey (Sophie Turner) is hit by some weird space matter, transforming her into a powerful villain that her former X-friends must stop. Wrestling with this entity inside her, Jean unleashes her powers in ways she can neither comprehend nor contain. With Jean spiraling out of control, and hurting the ones she loves most, she begins to unravel the very fabric that holds the X-Men together.